We are happy to report that the 2018 Harvest at Claiborne & Churchill is complete, and the new wines are resting comfortably in barrel and tank. 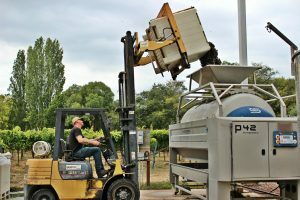 We had a lot of fun sitting down with our Assistant Winemaker, Zack Geers to catch up on some highlights from this 2018 harvest. How was the 2018 season? Cool throughout which was exceptional during the fall when heat events are pretty normal. The last harvest since this one that had no heat during September and October was 2007. This type of weather benefits Pinot Noir in particular. What variety are you most excited to work with this year and why? Rhone varieties from cool climate vineyards are making exciting wines which are getting a lot of attention from winemakers. 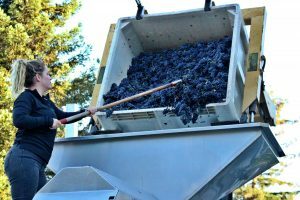 We get Syrah and Grenache from Spanish Springs Vineyard a few miles up Price Canyon Road from the winery. These vines are only two miles from the ocean so are about as cool climate as you can get. What made you laugh hardest this harvest? It’s the first time I had to strip down to foot stomp some fruit. The French use the term pigéage à pied (or “punch-down by foot”). What is one aspect of your job that people would be surprised by? I often describe winemaking as glorified janitorial work. Get it dirty – get it clean – repeat. Has the drought affected this year’s growing season at all? No we didn’t see any direct effects from the drought this year. We received some rain in late March that really set things up nicely for a moderate growing season. All of the vineyards we work with are able to supplement with irrigation if needed. What are ideal conditions for the aromatic whites and Pinot Noirs you produce? This vintage, while still very young, looks to be ideal. The varieties we produce do well with moderate temperatures and long days that are not too hot and not too cold. 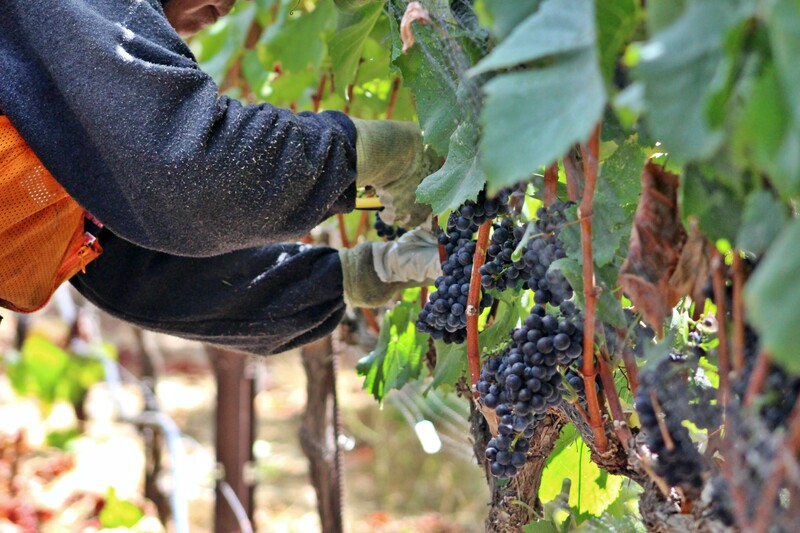 These conditions allow the fruit to stay on the vine as long as long as possible. The marine layer from the Pacific Ocean also plays a big role in the growth cycle by helping cool off the fruit at night. These conditions are especially vital at the end of the grape growing season to help the plant shut down for the winter time.